Would flexi-slats damaged my double mattress? Thank you for your enquiry. We would always recommend a barrier for slatted bases. If the space between the slats is less than 3 inches we could recommend an old duvet to protect the underside of the mattress from indentations from the slats. If the gap is greater than 3 inches we would recommend boarding over the slats with MDF or Plywood to give the mattress a uniform surface. 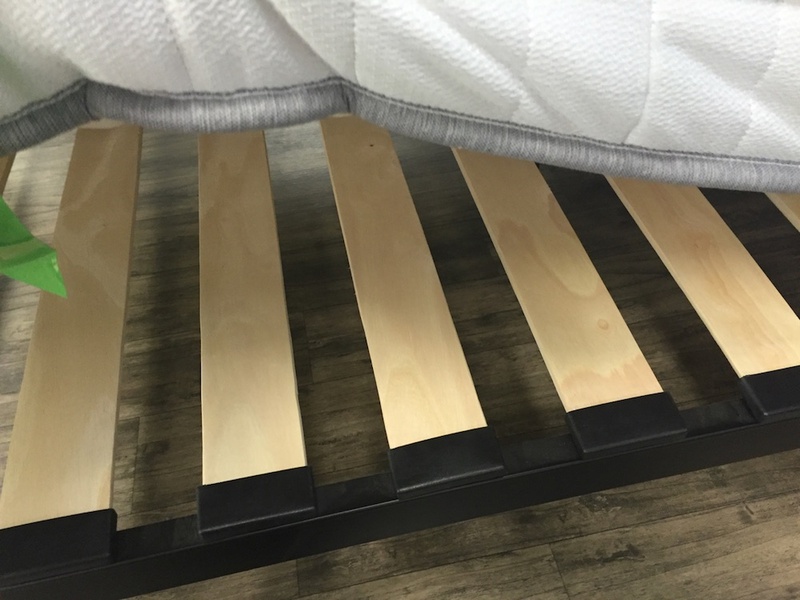 In the case of flexi-slats (also known as a sprung slatted base) if you don’t board over the slats the mattress can dip in the middle between the two arches of slats. With new mattresses, we recommend turning and rotating the mattress once a month for the first year to help even out the natural settlement that all mattresses acquire to some degree. Using the whole sleep surface of the mattress also aides this, if you sleep in the same position the rest of the upholstery isn’t going to settle and this leads to body impressions. After the first year you then only need to turn and rotate the mattress quarterly. I hope this is helpful and if you would like any further information please do not hesitate to contact the office on 0161 437 4419.